If what you are looking to find is good or bad public relations, news or factual information about Putin, the best thing to do is to Google his name, and. . . ‘a bra, ca dab bra’. . . Your experience would be as magical as if you had rubbed Aladdin’s lamp! In a second everything you can imagine to satisfy your curiosity will be there, true and false articles, photos, videos, etc., about Vladimir Putin! No, you will not find anything of that nature in this article. On the contrary, my commentary on Vladimir Putin as head of Russia and the role he now plays in the world has nothing to do with factual data. To a certain extent my article is of the kind that could be cataloged as ‘fantasy’ and easily dismissed by the Newtonian minded people, who Einstein called ‘snuffed candles’ because they do not have inner vision, thus they only validate material things that can be proved with facts as real. So, there is no sense to argue with them, because my commentary cannot be proven by material facts. So, if you have a Newtonian mind don’t waste your time, enjoy the info Wikipedia and Google have to offer – which is fabulous – and if you are intrigued come back here and let your mind enjoy learning another way seeing. For the moment thank you for your visit, I hope you are intrigued and will be back, for somehow in this relative world we never know too much. Have you ever experienced seeing things that others don’t seem to see? That happens to me when I least expect it. All of a sudden it happens! Something triggers and I am given a different way of seeing what is going on. . . It is as if it were the vision of an eagle that can see everything when its flying really high. . . Or as if you had entered into a dark room and suddenly someone turns the light switch on and you can see everything clearly. This inner vision comes accompanied by an eschatological Understanding of whatever is being seen, or experienced – where no thought process is included. What is really awesome about this is that right afterwards, life starts corroborating with ‘real, factual events’ what the inner vision perceived! I would say this experience is like seeing things differently by Divine Grace with an ‘Inner Eye and an Extended Understanding’ that goes well beyond the limits of our sensory perception. I hope that I have expressed this inner visual experience clearly for I am afraid this is the best I can do. – What does Eschatology – a study of the end times – have to do with Vladimir Putin? Aren’t we all destined to do whatever we do? I know that he is an important person indeed, for he is the President of Russia, but isn’t it a stretch to say he is ‘A Man of Destiny? And what does he have to do with the end times? – A lot. . . According to what I saw and was given to know when I first saw Vladimir Putin. He didn’t do anything. . . It was just his presence. . . It triggered the experience I just explained to you, which somehow led me to know the reason why he is indeed a Man of Destiny. I feel that many people, some who like Putin and some who hate him and would gladly get rid of him would agree with me, for they intuitively know this. Later on as time passed, and Putin became President of Russia, his words, his behavior and the actions he took clearly corroborated and authenticated all I was given to see about him. – What did he do that makes you say that? – I see. . . But, what does all this have to do with Eschatology? The truth is President Yeltsin and Putin were both, without even suspecting it, just following higher orders – because when Divine Providence has made a decision no human can interfere. Even if it is difficult for you to accept this way of seeing things; at least you must agree that the way Vladimir Putin became President of such a powerful country as Russia is highly unusual. Wouldn’t you say so? So unusual it is, that it is maybe the first and only time this has and will ever happen. – I can see why they would label your article like ‘fantasy’ for you are starting to sound to me as someone who is talking of our Planet and our life as if it were a story like ‘The Lord of the Rings’. – You are right, our story can sound like that. – But, what about the end times? Do you know when the end is coming? So, if Jesus says that, who can say differently? No one else can tell the hour or the time for only the Father knows. But we have been told that there are signs that will indicate the times of the end are here. So, if you want to know the thing to do is to be alert and watch for the signs. Recently, just a few years ago, a Time Sign was given to us by Jesus Himself through Rabbi Yitzhak Kaduri, a hundred eight years old revered Jewish Orthodox Rabbi, to whom he appeared. Not surprising, this sign, although extremely important for the whole world to know, has been ignored to a great extent. This sign was very precise on the subject of time as Jesus made a point of saying to the Rabbi that He was going to come shortly after the death of Arial Sharon. Well, Sharon was disconnected from the machine that kept him alive and died in 2014. So, this marks time with a Heavenly stamp. Don’t you think so? I cannot give you the list of the signs in this article as there are many, but I will include in a future article. – Why do you believe this information of the Rabbi to be true? – Because it is unlikely that a revered 108 years old Rabbi would lie on his death bed, and when he was asked the name of the Messiah he wrote the name of Jesus. – Why would Jesus appear to a Rabbi instead of the Pope? – Because His own have betrayed Him and enthroned Lucifer as head of the Vatican on June 23, 1963. Since then because no Pope had performed the exorcism to invalidate this enthronement, the dark forces are ruling the Vatican, which is obvious by the blasphemous words and actions of the apostate antipope, so called Pope Francis, who occupies the chair of Peter right now. In a sense this sign, as well as others which have already been fulfilled, are letting us know that the Final Chapter of this great Earthly Opera in which mankind was meant to evolve into demi-Gods has already started. Have we done so? Or have we become demi-Demons with our choices? Up to this point, Putin is playing the role Destiny assigned to him more than well, it is not easy to play the role of the ‘White Knight’ who unexpectedly is given a position and the power to be the stronghold of the Forces of Light and of Orthodox Christendom and its values. It is not easy to restrain the Forces of Darkness that have hijacked Planet Earth. These Forces are eager and set on destroying mankind and every trace of everything and everyone that belongs to the creation of the Divine Forces of Light. Putin knows what he is fighting and feels he has nothing to fear for Heavenly Forces are with him. 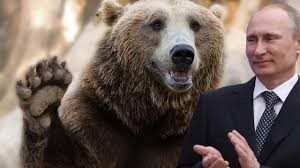 It is strange that Europe has not heard Putin or believed him, for he has said repeatedly that Russia is not the Soviet Union anymore, that Russia today wants peace and prosperity for itself and all other countries, that the Russia of today doesn’t want to use its power to rule the world, expand its territories or a war in which there will be no winner. But Europe has not heard his voice. There was a moment when Putin hoped, and I prayed that Europe would SEE clearly, dissolve NATO and join him to work together for world peace. But as we all know Europe chose to go against Russia and work for the Forces that want One World Power. When Vladimir Putin cannot delay their plans and restrain these forces anymore, he will have no option but to follow his destiny and play as he must, the role of ‘the White Knight’ defending Russia with all its might. When that day comes be in God’s Presence for as Paul of Tarsus said: ‘We wrestle not against humans, but against Powers and Sovereignities, and Principalities and Thrones, who started the Darkness of this world, the spiritual army of Evil in the Cosmos.’ (Ephesians VI, 12) But remember one thing: Jesus lives, He showed us with His Life, Death and Resurrection That which is Immortal, Eternal and God born cannot be destroyed. The only thing that will be destroyed is what IS NOT. Have you found That which is Immortal in you? Have you found your True Identity? Or are you thinking that your physical person is what you are? – Hum. . . I never thought about that question. . . Is that what Shakespeare meant when he said, ‘To Be or not to be, that is the question’? – That’s right. That is The Question, the most important thing, but this is a theme for another article. I must now say peace be with you and: May God bless and protect Vladimir Putin and be with him till the end. 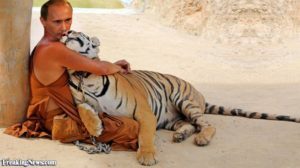 This entry was posted in Vladimir Putin on August 3, 2018 by Seventh Angel.